It’s not unusual for me to have more than one book going at a time. What is unusual is to be so into all of the books I am reading. I seem to be in one of those moods where everything I pick up turns into something I want to devour. My appetite right now is insatiable and it is exacerbated by all the books I keep buying (!) and the fact that I am spending too much time in front of digital media. With 8 books completed in January I feel I am on a good pace to reach my goal of 104 books this year, but there is part of me that feels the need to take giant piles of books and just cram them into my head. I started this one in early January and I love it. I didn’t take it on our recent trip to Mexico because I didn’t want to bang up my copy so I left it home about 2/3rds finished. The crazy thing is, I totally forgot about it when I came home. It wasn’t until I was a good 30 pages into the Macaulay (see below) that I remembered I was reading this one. But I love it so much I don’t want to pick it up again until I have a good chunk of time to read it. 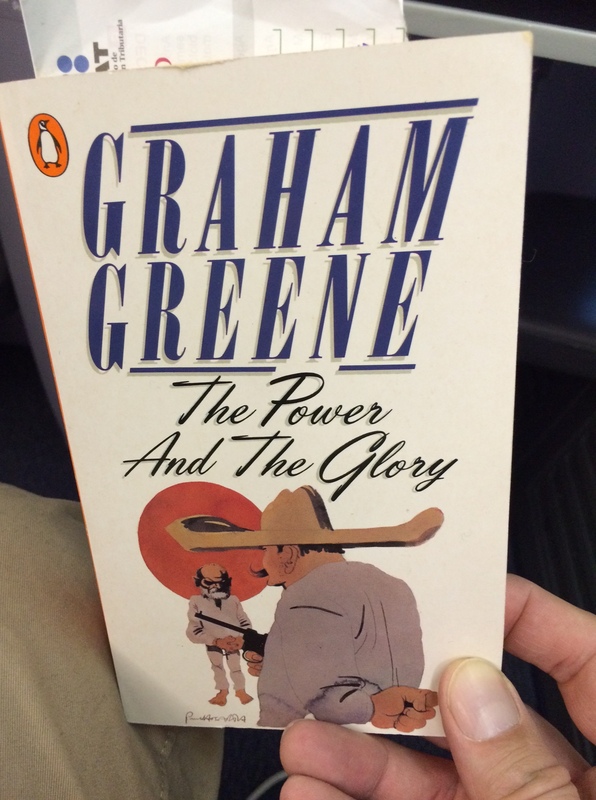 I read two other books while staying in the colonial town of San Miguel de Allende in Mexico but didn’t pick up this Mexico-based Graham Greene until the plane ride home. Simon at Stuck in a Book mentioned that he was about to start reading this. I tweeted him that if he waited until I was back from my trip in a few days we could read it together. He agreed, so I had to take it off the shelf as soon as I got back. I think I got a head start on it, but given everything else I have going, he may beat me to the finish. 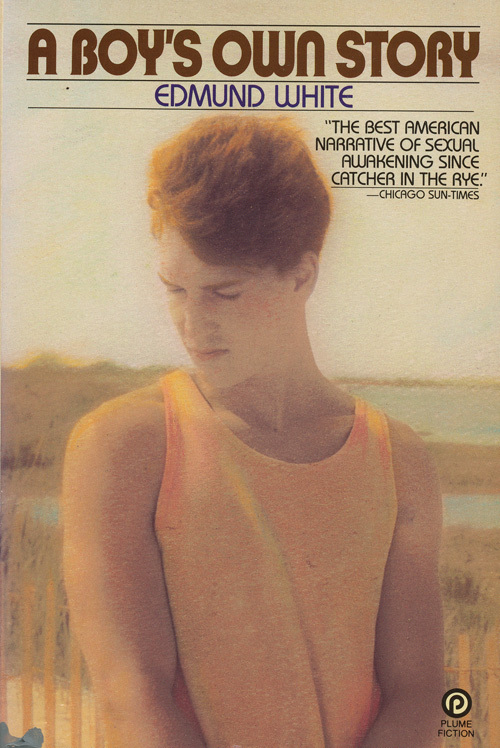 I read this waaaaay back in high school–a young gay wanting to read about a young gay. I have no recollection of what it was about. So when I saw this copy of the same edition I owned 30 years ago, I couldn’t resist. Started it at about 1:30 in the morning and am 35 pages in. In addition to these four titles that have me pretty well captivated I have about five other books that are in various stages of being started but I am finding them less captivating. Some of those may get abandoned for good but I am holding out on naming them until I give them another go. That’s what I want to do, but my weekend is pretty booked up. 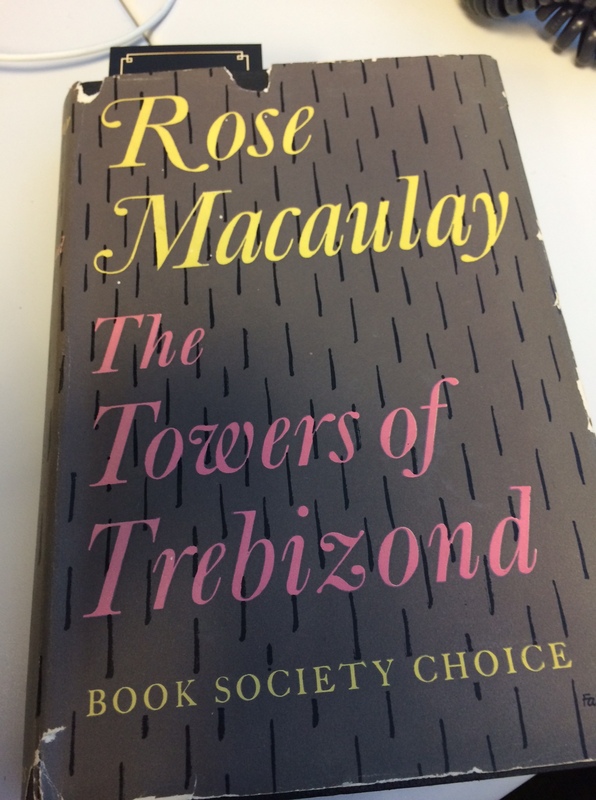 Where would you recommend I should start, if I want to give Rose Macaulay a go? You know, my record with Macaulay is a spotty. I loved Dangerous Ages, but was quite bored by Told by an Idiot. So far Towers of Trebizond is somewhere in between. 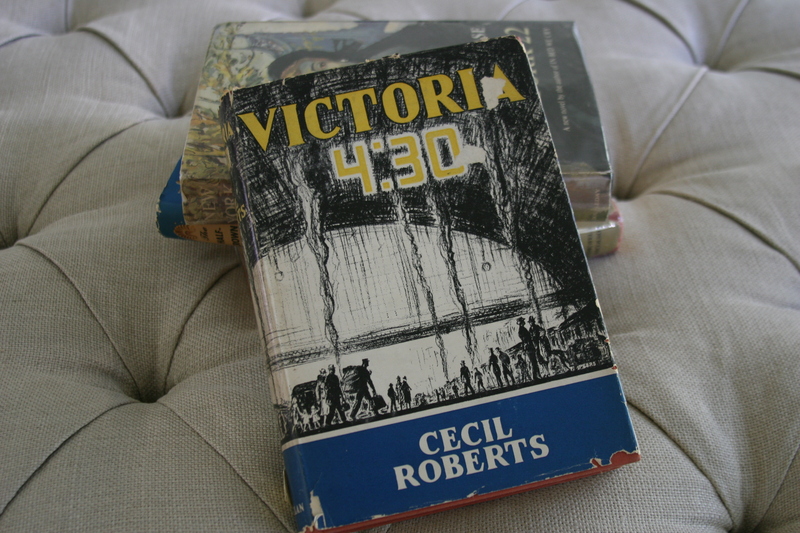 I also have four books going right now — one is a classic that’s taking way longer than I thought; two are for book groups, both of which I should have finished already (one group met last week, and the other meets in two days -eek!) and one on audio which is a reread for a third book group. I guess the answer is that I have too many book groups. I just finished my first May Sarton, As We are Now, based on your recommendation. It was a home run with me. Oooh, that makes me very happy. I guarantee not all of her books are that sad. I think I hear The Magnificent Spinster calling your name. My reading appetite has been insatiable lately as well. I’m keeping a minimum of two on the go only because I haven’t had as much reading time, and I’m enjoying stuff off of my own shelves for a change. I don’t usually love books with devastating endings, but “The Towers of Trebizond” is an exception. (Hope this isn’t a spoiler at this late date.) Really loved her “Pleasure of Ruins” too.